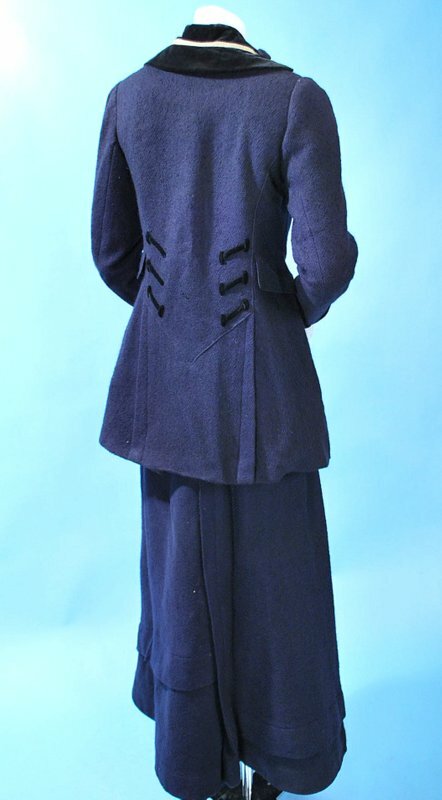 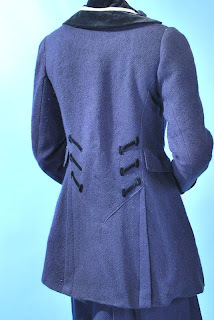 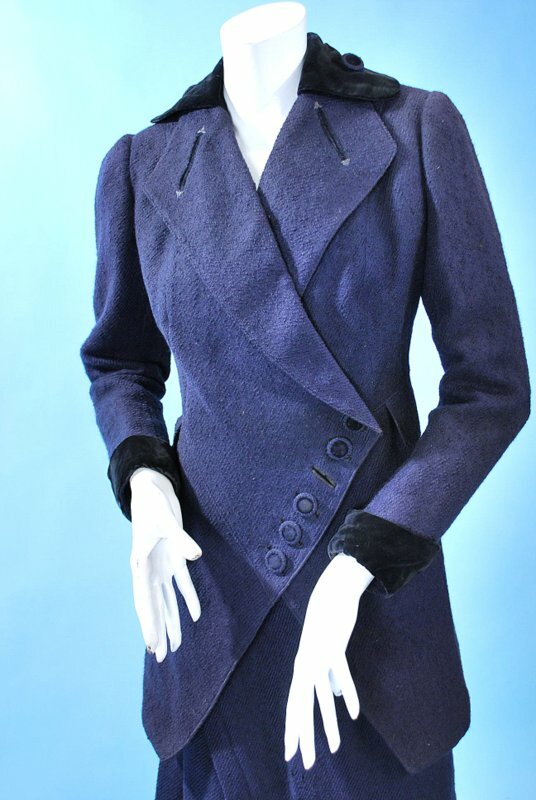 Slubby navy wool Edwardian walking suit dating to 1910-15. 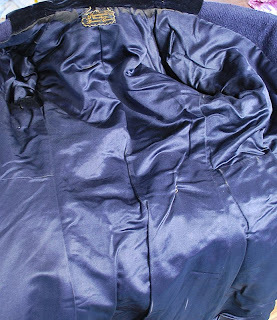 Imaginative closure design on the jacket with, velvet cuffs and collar, lined in silk satin, with old label... Back closing skirt with top stitched asymmetrical pleat across skirt and along the hem.. Found recently in estate that has been closed up for long time, the things were dusty, this will need to aired or dry cleaned, scattered small holes in the skirt. Chest measures 38", waist 32", length 30", sleeves 23". Skirt waist measures 26", length 40". 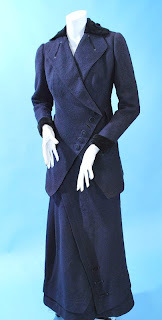 Let's all just say it together; this was totally in Lady Mary's closet.